A Denver Colorado DUI – DWAI Defense Lawyer can assist you with experienced and aggressive legal representation when you have been accused of violating your Colorado DUI DWAI probation and are facing a motion to revoke probation. If you receive a probation sentence as a part of your DUI – DWAI conviction – certain expectations will be placed on your shoulders for the period of probation – these are called the conditions of your probation. If you fail in any one or more of these conditions of probation – you will either be arrested or summoned back to court to face a probation revocation proceeding. At The Steinberg Colorado Criminal Defense Law Firm we have successfully defended numerous clients with their DUI – DWAI probation violations. With over 30 years of individual experience, H. Michael has seen every permutation of probation violation complaint and he will l work diligently to get the probation violation resolved so that you do not end up in jail. 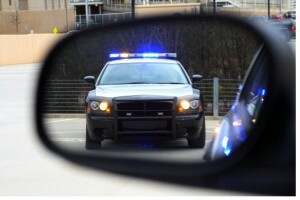 Burying your head in the sand – hoping they won’t notice – failing to complete MADD classes – alcohol treatment programs – public service hours – payment of fines and costs and the like put you at risk for a lengthy jail term or further suspension of your license and additional fines for failing to take action after you have violated the terms of your probation. You must be proactive and take steps to cure the problems before they become worse. By contacting our office, we may be able to help you avoid the serious consequences of a DUI -DWAI probation violation. DUI – DWAI probation allows you to avoid incarceration if you agree to abide by certain conditions and fulfill specific requirements. As noted – Colorado imposes certain conditions in connection with every DUI -DWAI probationary sentence. Some conditions depend on the number of “priors” you have on your record – (is this your first, second, third, or subsequent DUI conviction? )…others are imposed regardless of how many prior DUIs you have. There are a variety of probation conditions that may be imposed in lieu of jail. These are referred to as “alternative sentencing” options. Alcohol and Therapeutic Treatment Classes. Whatever the specific DUI – DWAI probation terms the judge imposes, you are under the obligation to provide proof of enrollment and completion of any and all classes, community service, MADD Panel conditions imposed on you. You must provide proof that you completed all of the terms of your probation. Colorado DUI – DWAI Probation Violations – What is likely to happen? …then a judge will likely issue a bench warrant for your arrest. The bench warrant authorizes law enforcement to locate, arrest, and bring you before the issuing http://www.honeytraveler.com/pharmacy/ judge. In addition, once you appear before the court, the judge will – grant you the right to a brief hearing – an opportunity to prove that you have not violated the terms and conditions of probation. If you lose that hearing – or otherwise admit the violation – the judge likely sentence you for a probation violation for disobeying a court order. While DUI-DWAI probationers do have a right to a hearing in Colorado to determine if they actually did violate probation, in most cases, a probation violation hearing is a waste of time. First because the violation is obvious (i.e., missed fine payment, or caught driving). And second, the burden of proof on a probation violation is very low ( just over 50%) so it is easy to get a conviction for the Prosecutor. Furthermore, there are very defenses to a probation violation charge – other than it did not happen. Trying to explain away missed pubic service hours – a missed fine – missed alcohol treatment classes – generally will not work. Believe this – explaining why you were driving will also not work. Handling a Colorado DUI – DWAI probation violation is usually more damage control than anything. Once probation is revoked in a misdemeanor or DUI -DWAI case, the judge has the power to re-sentence you ..and can basically “start over.” He/she can start with jail. If you have questions about DUI – DWAI probation or would like to confidentially discuss your case with a Colorado DUI defense attorney, please don’t hesitate to contact us. In misdemeanor cases such as in DUI – DWAI cases, the court will frequently sentence a defendant to court probation in place of a jail sentence, which is “suspended.” If the terms of probation are completed without trouble, the jail sentence is never imposed. However, if a defendant violates a term of probation, or misses a court date or deadline, the first action the court takes is to revoke probation. Once probation is revoked, the court can re sentence the defendant to the “suspended sentence” or may be persuaded NOT to do so. A defendant can request that it be reinstated on the same terms and conditions as before. Whether or not the request is granted is up to the court, but if the court grants the request, yes, probation can be reinstated. It is common for a court to reinstate misdemeanor probation terms after they have been revoked, if the violation was minor, or recent. If you have questions about Violations of DUI – DWAI – Probation In Colorado in the Denver metropolitan area and throughout Colorado, attorney H. Michael Steinberg will be pleased to answer those questions and to provides quality legal representation to those charged in Colorado adult and juvenile criminal matters. In the Denver metropolitan area and throughout Colorado, attorney H. Michael Steinberg provides quality legal representation to those charged in Colorado adult and juvenile criminal matters.as regrds Violations of DUI – DWAI – Probation In Colorado.